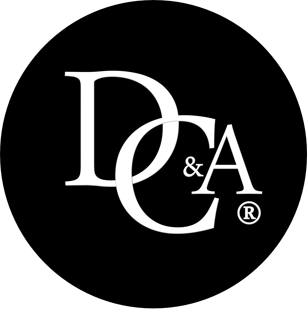 Founded in 2009, David Castain and Associates has become a thriving consulting firm within the DC, metropolitan area. The firm acquired its name from its founder David Castain, a marketing pioneer in his own right who harvested the company with the intentions of providing excellence with innovation and creativity. After years of hard work, dedication and networking David Castain had grown the company significantly in size and capability through careful recruiting a team of top-quality associates consisting of; financial analysis, public relations managers, technical writers, information technology developers, videographers, graphic designers, web developers and marketing experts. This was the formation of David Castain and Associates. David Castain and his associates blazed a new trail in the universe of marketing, management and branding consulting. Unlike their competitors, DC & A approached consulting from new perspective, examining all aspects of a company and developing nontraditional solutions. When we analyzed our current economy, we came to the conclusion that businesses were unable to reach their full potential. This is mainly attributed to outdated, unappealing, or lifeless branding. In order to be competitive, a business must be able to attract their target market. We provide the necessary elements of knowledge, research and experience to stay current and successful. Since then our company has blossomed into a well-known highly respected consulting firm with prestigious cliental. Our philosophy is based on a unique and unorthodox method of doing business. We entail ways that have never been used and cannot be duplicated. This is the seed that was planted into our company years ago, and now that we have matured we can say that we offer the best services possible.